As an agency that has built over 500 new websites over the years, we get to see and understand how different companies handle such projects. 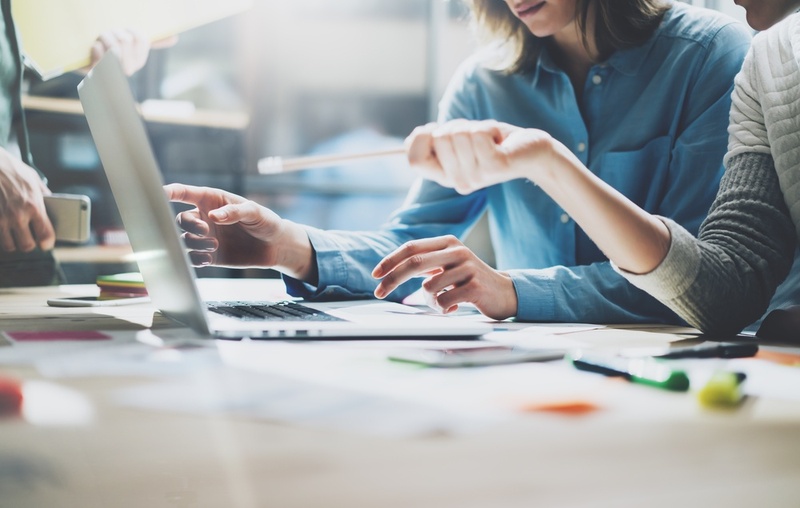 In larger organisations, we're often dealing with an IT Team or Marketing Managers who have been given the responsibility of launching a company's new website. While this seems logical given that a new website involves some level of IT and of course marketing, we're we often wonder if these employees are equipped with the skills and experience required for this task. This article looks at the experience of our business and explores if there is a better way of managing a new website project. I'm pretty sure that when a new Marketing Manager or IT Manager is recruited, most job descriptions will not include responsibilities such as "Project Management of new websites" or "Ensuring maximum user experience of company x's website". If these types of responsibilities are included in the job description, I'm 100% sure that the complexity and importance of this specific task isn't detailed to the point where an employee is left without any doubt as to what is expected of them. A company's website is often the face of the business to the outside world, whether that be potential customers or future employees. Yet, the responsibility for its development often lies with those who have either zero project management experience, little or no user experience management or in the case of IT professionals, little or no marketing knowledge. You see, the challenge is that the development of a new website is highly dynamic, ever-changing with technology updates (believe me, there are plenty of those!) and the smallest breakdown in communication between a company and a developer can lead to unimaginable delays. Not only can delays be costly in terms of time lost, but the opportunity cost of having a potential client visit an old, outdated website compared to a new one, can also be impactful. Another scenario is that a new website gets developed and launched, but never fulfils its potential in terms of generating traffic, qualified sales leads or new business opportunities, which ultimately may impact the success of the business. Risk 1: Not being prepared enough to undertake the project. Businesses need to make sure that they understand the goals of the new website, that all stakeholders and decision makers are in agreement with the goals, all marketing collateral such as brand colours and logos are available and some aspects of content are ready for use on the new website. Risk 2: Decision making processes not agreed. One of the biggest issues that businesses face during a website design project is when there is no clear decision making process or where there is no 'final' decision maker. This often results in multiple opinions and ideas, that leave the development agency in a state of confusion, especially where opinions from the client are contradictory. Risk 3: Internal Project Lead (i.e. Marketing Manager / IT Manager) doesn't have the authority for final sign-off. In this scenario, the internal project lead may work closely with the development agency and together they create a website that both are satisfied with. Unfortunately, the internal project lead needs to present the website to senior management who will ultimately decide if the website will be approved. At this stage, additional risks such as new feature requests or drastic overhauls are required that may extend the life of the project substantially, resulting in increased project fees and a higher opportunity cost for the business. Risk 4: The risk of mis-management. In the past, we have taken over seemingly simple website projects that should have taken no longer than 2 to 3 months for development, but were now running close to a year with little progress. Based on our experience, the ONLY time this happens is when the development agency does not have a clearly defined development process in place. It's often as simple as that but the risk for both parties of not having this process could be catastrophic for both. How do you minimise the risk of failure when launching a new website? ...is a question that most businesses NEVER ask when creating a new website. But we do think there is an answer and a solution to this. The problem is that very few people are qualified to fulfil what's required. 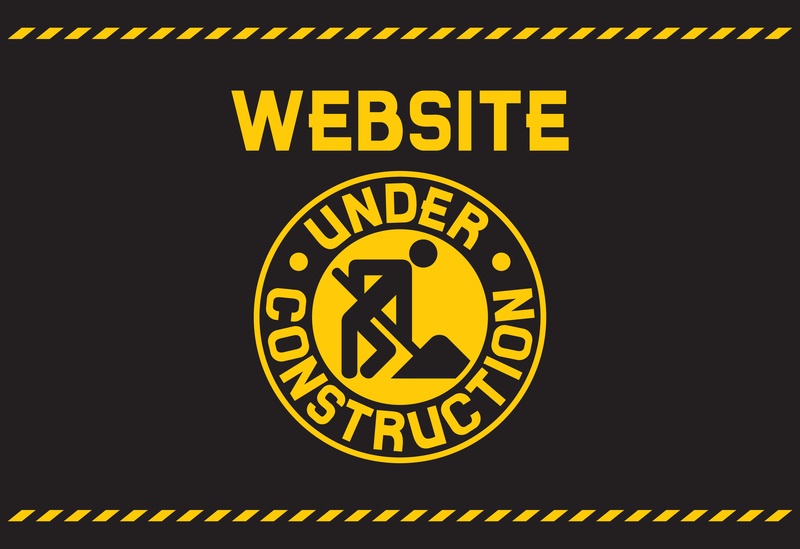 If you are considering using a outsider to help manage your project but are unsure of the benefits of this, ask yourself how damaging a "Website Under Construction" or "Website: Coming Soon" banner is if it remains on the homepage of your website for any extended length of time. What does that say to potential customers about your ability to manage projects? At Nexa, we often help our clients with tasks that are often outside the scope of our normal activities and one such service is to Project Manage website projects that are being developed by a third-party supplier. This service, often means working alongside a company's marketing, IT or executive team and allows us to independently manage the overall expectations of different stakeholders within a business. Additionally, these expectations are communicated efficiently with actionable tasks to ensure that the development agency is managed with a level of know-how that only comes with the experience of building hundreds of websites. The results can often be hugely impactful for a business. Benefit 1: The Project Manager operates in a way that is independent to both the client and the website developer. This allows objective analysis of the project at any time and adds a level of accountability into the project that is often missing. 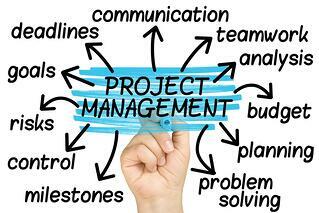 Benefit 2: The Project Manager takes technical jargon out of the equation. One of the main frustrations between a clients and website development agencies is the technical jargon that is used to describe different aspects of technicality within the project. The role of the Project Manager should be to decipher the jargon and explain these in a terms which are clear and easy to understand. Benefit 3: The Project Plan is realistic and accounts for the goals of the client. A website development project may not seem like a highly-complex activity however, there are a number of variables that need to be understood and considered to ensure that a realistic project plan is created that also takes into accounts client feedback time and other difficult-to-predict elements. The Project Manager takes all of this into account using not only the fixed elements of a project but also accounts for client feedback and sets realistic deadlines for all activities. In addition, barinstorming or ideas between agency and clients is also managed by the Project Manager to ensure that highlights are recorded and mapped correctly into the Project Plan. Benefit 4: The Project Manager is in charge and has the ability to chase and remind all stakeholders of their responsibilities within a project including deadlines. The impact of a missed deadline is also outlined that shows a clear direct link from this to the final delivery date of the project. Benefit 5: User & Bug Testing is conducted by the Project Manager. An often overlooked part of the website development project is the testing of the website from a technical bug fixing perspective and also from a user-experience perspective. It's important that these tests take place throughout the development of a new website but is sometimes overlooked until the very last stage of development and handover. If this stage is mis-managed, there is an increased likelihood that the project will miss launch schedules, which in turn may impact the overall success of the project. This is often one of the most time consuming parts of a website from a client's perspective. In our scenario, the Project Manager takes care of all the testing required so that upon delivery and handover of the website, the company is left with a first-class representation of their business, online. How successful is the independent Website Project Management approach? It's a service that has only been offered to clients in the last 8 months or so, but all indications suggest that the Project Manager being involved in the project can reduce the delivery time of complex websites by up to 30%. If my website project has already started, is it too late to involve a Project Manager? Absolutely not. This service only really came to life, when a client of ours was six months behind schedule in terms of the delivery of two of their new websites. Within just a few weeks, many of the roadblocks were removed with new, realistic project plans created. The end result was that the websites were delivered eight weeks earlier than the new project plans indicated, and reduced the total delay (which was escalating out of control and was already 6 months behind) to just over 3 months. For the client, the ability to market and promote the new websites was significant and allowed them to generate new business enquiries sooner than they had anticipated. Is your website project running behind schedule or do you feel that your team do not have enough time, resources or experience to handle a project like this? Speak to us today. Our Senior Management will be happy to look at your project and help you decide if our services will benefit your business. Start today by completing the "Speak to our team" form on this page.